The Late Lord was published exactly a year ago today (11 January). To commemorate the occasion, I am putting up a blog post (gasp!) to publish a short story I wrote six months or so before the book was published, for my own enjoyment. The Arabian is based on an episode that occurred during Lord Chatham’s governorship of Gibraltar, in September 1822; it’s mentioned briefly on p. 188, but it’s the sort of thing that I felt needed a longer treatment — hence this short story. I must apologise for any horse-related errors — a friend read it through and picked me up on several idiocies, which I have corrected, but, while I am very definitely a Chatham person, I am not a horsey person at all. Silence re-established itself. Stokes knew from experience he would not hear that voice again for at least another six hours. He rolled out of his narrow cot, slipped Sophia’s miniature over his head, then went into the small adjoining room where his batman waited with hot water and a razor. Stokes was at his desk at seven, the reports from the garrison neatly stacked by the inkstand. Beside them were the latest communications from the Town Major and the Captain of the Port. Laid out on the centre of the table was the leather-bound Orderly Book, already opened to the first crisp, empty page. Stokes consulted the hastily-scribbled notes his clerk had left for him, dipped his pen in ink, and began to write. While Stokes opened letter after letter, copied their contents into the ledger books and composed formulaic responses, the Governor’s Cottage began to wake up around him. Footsteps creaked up and down the stairs, and a hum of voices intruded on Stokes’s awareness. Outside, drums beat the tattoo as the night guard at Europa Point was relieved, and a regimental band launched into a rendition of ‘The Girl I Left Behind Me’. A ship coming into the Bay fired its gun to warn the garrison of its approach, followed a few moments later by the deeper reverberation of Europa Point’s battery in acknowledgement. ‘Awake, dressed, and ready for his letters.’ The aide-de-camp held his hand out for them; Stokes obliged. Wilson flicked through them swiftly. ‘If it will save him the trouble of reading the rest, I daresay,’ Stokes remarked, and immediately regretted the words. Wilson raised an eyebrow and changed the subject. The next few hours passed swiftly. The sun rose higher in the cloudless sky. Stokes loosened his stock and opened the window. The Rock shimmered in the heat. Stokes pulled out the locket that hung round his neck and opened it. Sophia’s cream skin and golden hair gazed at him, her mouth curved into the faintest smile as though to say: I am waiting for you. But Sophia was on the other side of the sea, and Stokes was in Gibraltar, chained to five isolated square miles of jagged Rock. He tucked the locket away, stared for a few moments at the tiny British flag hanging limp from the flagpole at O’Hara’s Battery, then returned to his desk to sharpen yet another pen. At three he stood outside the Governor’s drawing-room, the day’s out-letters in one hand. Despite being perfectly on time, he could tell from the absence of orderlies that His Lordship was not yet returned from his morning ride. Stokes had only been Military Secretary three months, but those three months had been sufficient to see that everything here – the morning and evening guns; the inspections; the parades; the arrival and departure of the packet boats – worked like a military metronome. Everything, that is, save for the Governor. Lord Chatham’s habits had not changed in the twelve years since he had become notorious for commanding the disastrous Walcheren campaign, when his inactivity had contributed to the destruction of his army from disease. He drifted in and out of Gibraltar’s military and civil routine at his own pace, always good-natured but remarkably disengaged. It was half past the hour before the sound of the guard presenting arms alerted Stokes to Lord Chatham’s return. Stokes stepped away from the map depicting the Great Siege just as Lieutenant-Colonel Wilson and Captain Taylor came upstairs followed by two Spanish servants carrying trays of wine and water. The aides barely gave Stokes more than a nod as they passed. A few minutes later the Governor himself appeared, wiping his hands on a towel. His long face was sheened with sweat and reddened from the sun, but, despite the exercise, His Lordship still gave the impression he would much rather be anywhere but here. Looking at Chatham’s melancholy, rather bored expression, Stokes fought a swell of contempt. He wished he could know, even for a moment, a fragment of the thoughts passing through the Governor’s mind. If he were able to at least respect the man, he suspected his exile from home, and from Sophia, would be less difficult. And so it went. The first time Stokes had waited on Lord Chatham he had been so tense he had forgotten to eat breakfast. Now he barely needed to think about what he did, because every day was the same. First came the dispatches for the local consuls, which Chatham read before signing next to Stokes’s pencilled cross. Then came the court martial reports, and the general orders to the various regiments for the day. Chatham worked in silence; Stokes had quickly discovered His Lordship was not over-fond of small talk. The clock on the mantelpiece ticked away, punctuated by the sound of marching and drumbeats from outside. Stokes shifted his feet and wondered whether he would have time for a walk before dinner. ‘A fair few visitors from Morocco,’ Chatham observed. The sound of his deep, cultured voice shook Stokes out of his reverie. ‘Good.’ Chatham signed a few more papers and lapsed back into silence. Stokes returned to thinking wistfully of his next meal. After leaving Lord Chatham, Stokes went for his walk along the cliffs. Behind him the batteries remained a sign of Gibraltar’s military status as the guardian of the Straits, but before him was the broad, glittering expanse of the sea. A faint breeze disturbed the turgid air and brought a salty scent to his nose. The low and stately Atlas mountains of Africa pierced the haze across the Straits. The sight distracted him, and the strange golden hills made him think less of home. Less of Sophia. What was she doing now? Was she thinking of him too? He came back to the Governor’s Cottage just as the heat began to draw off into the coolness of evening, when the shadows lengthened and the Rock glowed red in the setting sun. Stokes heard his name as he entered his office, bracing himself to receive the evening dispatches and finish work while the light persisted. He turned to face Lieutenant-Colonel Wilson. ‘He has never been anything but kind to me,’ Stokes stammered. It occurred to him that, though most of the garrison spoke jokingly of His Lordship, he had never seen Chatham’s aides-de-camp behave with anything but respect and even affection. Wilson looked down his nose. Wilson’s duties, however, clearly had. Stokes’s eyes lingered on the man’s weather-beaten face and the jagged white scar running from chin to cheek. On parade days Stokes had seen the Waterloo medal on Wilson’s chest. He had never understood how men like Wilson could lower themselves to serve men like Lord Chatham, but even as the thought registered he felt a swell of shame, as though his disrespect for Chatham somehow reflected on Wilson, too. ‘Lady Chatham has been dead for over a year,’ Stokes said, in genuine confusion. ‘I am not certain you do,’ Wilson said, and turned his back before Stokes could respond. The next day Stokes again stood by the Governor’s desk as Chatham signed the day’s orders, and tried not to stare in too obvious a fashion. Did His Lordship seem more melancholy than usual? Was Lord Chatham thinking about his wife at that very moment, and did it bring him pain? Was that why he remained permanently detached from the garrison, as though he were not fully present – as though a part of him remained at his wife’s graveside in London? Lord Chatham’s heavy-lidded blue eyes flicked up and Stokes hastily looked away. ‘You will accompany me with the rest of the staff to the race tomorrow,’ Chatham said. It was not a request. Stokes bowed. Chatham dismissed him with a wave, visibly suppressing a yawn. Stokes felt a burst of irritation. At least it will be a holiday, he thought as he mounted his horse to ride into town. A heat haze rose off the grey brick fortifications as Stokes crossed the drawbridge and entered the fortress. The guards posted to the southern gate saluted him as he passed. As a civilian he had found this odd the first time he had experienced it, but now he barely registered the sound of hands slapping against wood and metal as the men smoothly presented their arms. Gibraltar’s cobbled streets, lined with colourful houses packed between the looming Rock and the bastions fringing the Bay, were full of people going about their business. Europeans in sober woollen coats rubbed shoulders with Spanish women in bright red cloaks. Stokes had to concentrate to guide his horse through the throng of dark-faced Moroccans, Jews with caps and long curls, and red-coated soldiers marching to their duties. Stokes often wondered what Sophia, who had never been anywhere more alien than Covent Garden Market, would make of it all. The air was heavy with the scent of sea salt and spices, and reverberated with the sound of street cries, drumbeats and all the languages of Babel. The Convent stood empty, its tiny windows tightly shuttered against the heat, waiting for the cooler weather and the Governor’s return to the garrison. Closer to the waterside, the heat was more bearable. Evening was drawing in by the time Stokes accompanied Lieutenant-Governor Don’s aide-de-camp, Captain Waller, to the New Mole. The Bay bristled with the masts of ships at anchor, enormous warships casting shadows over tiny, patched boats from the Barbary Coast. The first evening gun fired from the signal bastion as Stokes stood on the narrow quay stretching out towards the Spanish lines and watched a flatboat approaching from the American frigate moored a mile or so offshore, away from the treacherous rocks close to the harbour. As the boat approached, Stokes could hear a high-pitched neighing that suggested the approaching horse was not entirely happy with its predicament. ‘Oh dear,’ Captain Waller murmured as the boat approached the Mole. It took time to bring the Arabian ashore. The horse sidled and ducked as the sailors and grooms in the flatboat tried to fasten him into the sling, and squealed in fright as he was winched back onto solid ground. Stokes had no idea how long the horse must have been cooped up aboard ship, but he was certainly making up for it now, skittering from side to side. Stokes watched as the grooms calmed him down until he quieted and stopped swinging his hindquarters about in an effort to break free. Even to Stokes’s untrained eye he was a fine horse. He was small, but built almost entirely of lean, trembling muscle, his sinews standing out like cords. 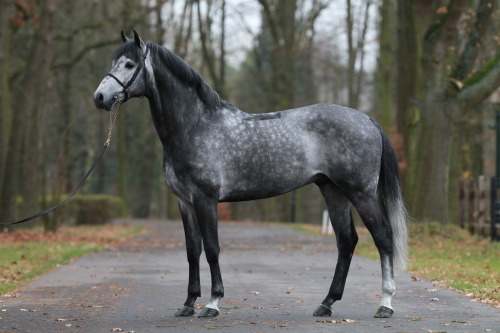 Pale grey in colour, he had a handsome dark mane and legs and a proud, offended look in his intelligent eyes as he pawed at the ground, raised his head and pulled half-heartedly at the bridle. The thought popped into Stokes’s mind, unbidden: You don’t want to be here anymore than I do. ‘Where are we to take him?’ one of the grooms asked in a pronounced American drawl. Stokes stopped staring at the horse. ‘No,’ Taylor said, at length. ‘Those of us who work closely with His Lordship have a right to know.’ He went silent, as though picking his words. ‘I know she was ill for many years,’ Stokes prompted. After an hour’s riding they arrived at the racetrack in the Neutral Ground, a mile-long gravelled track cut from one side of the narrow peninsula to the other. Stokes had been mildly surprised to find horse-racing was not unknown here, as the terrain seemed so unfavourable to it, but the British had some time ago informally expanded into the flat band of unclaimed land between the Rock and the Spanish lines at La Linea. Here were the temporary wooden huts and shelters occupied by many of the people of the town during the hottest months of the year, when the fear of contagious disease was at its highest. Behind them, the Rock rose up from the plain with silent, monumental grace. News of the race had travelled. There were English-born merchants in top hats and tails, Spanish gentlemen in embroidered coats, and Gibraltar’s usual mix of Europeans, Jews, and Moors, each easily distinguishable by the clothes they wore. Ladies promenaded on their husbands’ arms, sheltering under parasols or, in the case of the Spanish women, hiding behind lace veils. The regimental bands played jaunty tunes. Stokes picked out ‘British Grenadiers’, ‘Heart of Oak’ and, after a group of local women promenaded past, a spirited version of ‘Spanish Ladies’. The horses arrived, walked over at a gentle trot by their grooms. Lord Chatham’s was a large chestnut, his sleek flanks quivering in the afternoon sun. He towered over the Arabian, who was clearly not pleased with the competition. He held his grey head up proudly as though to make himself seem larger, flicked his tail and pulled at his bridle impatiently as though to say: I want to run now. I can win. The horses took some time to arrive at the starting line, about a mile away. Stokes could see them, distantly. He could not so much make out the horses themselves as he could the movements at the end of the track through the shimmering haze: the milling of the crowds, the clouds of dust and the glare of sunlight off metal fastenings. By the edge of the track Stokes saw Chatham call over Taylor. The aide handed the Governor a telescope; Chatham opened it and trained it on the start line. The sun shone down relentlessly, with not a single cloud to impede it. Heat from above warred against the cool rising from the sea, and the sound of waves beating the shore travelled sluggishly through the heavy, humid air. Sea salt mingled with earthy dust coated the back of Stokes’s throat; he discreetly wiped a thread of sweat off his brow and gladly accepted a glass proffered by one of the Governor’s servants. To his astonishment, the Governor – who regularly complained about the heat, and who often took days to recover from the exhaustion of public parades – looked as sprightly as though he were by the track at Newmarket. Stokes saw him laughing at a comment from one of the American officers. The sight of it made him realise he had never seen the Governor laugh before. ‘His Lordship is in good spirits,’ Stokes remarked to Taylor, as the aide passed by. Taylor shrugged. Stokes did not see why it was so obvious, but he had to admit he was fascinated by the transformation in the Governor. The habitually bored expression on Chatham’s face had completely dropped away, and when pistol shot from the other end of the track signalled the start of the race, the glint in Chatham’s eye as he traced his telescope on the start line was full of intensity. The Governor’s enthusiasm was infectious. Even though he had never been fond of racing, Stokes felt his heart pounding as he fixed his gaze on the horses and raised a hand to shield his eyes. The Governor’s narrow shoulders were rigid, his gloved hands perfectly steady as he held the telescope. His cheeks were red in a way that owed nothing to the heat of the sun. Stokes could now clearly hear the thunder of hooves. The cheers were getting closer. He could see the shape of the horses, the grooms perched high on their backs. After a few moments Stokes could distinguish one horse from the other: the Arabian’s small, lithe frame moving with sinuous grace, its little legs beating the ground at a tremendous rate, alongside the much larger Weathercock. Chatham gave a cry. ‘Look at him run,’ Captain Jones exclaimed. The Arabian, having spent so long aboard ship, had more work to keep up with the bigger horse, but there was something so determined about the way he moved, black tail streaming behind, that Stokes would have been completely won over even if he had not already been championing him. He felt slightly ashamed for not backing the British horse, yet one glance told him the Governor, too, was more interested in the Arabian than in the progress of his own animal. The horses were nearly alongside now, so close to each other their legs were a confused blur of activity. Their hooves shook the ground and the scent of competition filled the air. Around Stokes everyone began to cheer. The Governor pulled off his hat and waved it, huzzaying loudly with no thought for the audience around him. Not that anyone was watching; all eyes were on the two horses, heads stretched out, nostrils flared, long tails flying behind them. And then it was over. The horses crossed the finishing line, Weathercock a head in the lead. The grooms reined them in as best they could. The Arabian squealed when his groom yanked on the bridle, more out of frustration, Stokes thought, than pain or exhaustion. A hundred or so more yards and the Arabian would have pulled past, Stokes was certain of it. The horses stood by the edge of the racetrack, quivering flanks streaked with sweat. Soldiers hurried forth carrying buckets of water to wash the horses down. Chatham led Captain Jones over, Stokes following close behind with the rest of the staff. Having expended all its energy in the run, the Arabian’s head hung down with exhaustion, but at their approach he looked up and began to fidget. Weathercock turned his head towards Chatham and gave a soft whinny of welcome. The Governor reached up and stroked his nose fondly; the horse snorted and nuzzled his coat. ‘Weathercock did well, I admit,’ Chatham observed, rubbing the horse’s forehead. His gaze, however, was on the other animal. ‘But he is six years old, and has not spent the last few months on a ship.’ The Governor turned to the Arabian. The horse was perfectly still, its black eyes on Chatham. When the Governor came closer and reached out a hand the Arabian whinnied loudly and pulled its head away, twitching its ears. ‘Hush,’ Chatham said. ‘Hush.’ The Arabian continued to pull at his reins, but the Governor moved gently closer, whistling through his teeth, pulling off his gloves and edging forwards with exquisite patience. To Stokes’s amazement, the Arabian did not move as Chatham’s hand made contact with his neck. ‘Easy,’ Chatham murmured, running his hand along the horse’s sweat-streaked flanks. The appreciation on his face as he moved around the horse was obvious; he stroked the Arabian’s nose for a moment, then bent over and ran his hands delicately down the horse’s forelegs. Stokes expected the horse to protest, but to his surprise he just stood there. It was as though the Arabian knew Chatham was impressed, and was flattered by the attention. Stokes glanced across at Wilson and Taylor, but the two aides looked as though they had expected nothing less. This behaviour from the Governor, though entirely new to Stokes, was clearly something they were familiar with, and had seen many times before. He turned back to Chatham with new respect. ‘Weathercock is no less admirable,’ Captain Jones said. Chatham smiled and turned back to the English horse, which nickered and nibbled at his golden sash as though in protest at having been ignored. As though he sensed his master’s melancholy, Weathercock nuzzled at his lapel. Chatham lowered his head; his hand on Weathercock’s mane stilled. He said nothing, but for the first time Stokes understood exactly what the Governor was thinking about. The next afternoon Stokes waited on the Governor as usual with the dispatches. Chatham had just come in from his morning ride and was still mopping his face with a handkerchief. He stopped when Stokes came in and held out a well-manicured hand for the papers. Stokes watched the Governor as he worked. Chatham wore the same closed, distant expression he always did, but this time Stokes fancied he saw signs of the emotion the impassive mask was meant to hide. Little wonder Chatham felt the need for such a façade, with everything he had experienced over the last few years and the way in which nearly everyone – including Stokes – held him in contempt. He was like the Arabian, forced away from home to perform endless repetitive duties on foreign soil, against his desire and inclinations. No wonder he cultivated a sense of detachment; no wonder his aides were protective of him. Stokes began to feel ashamed of his own preconceptions. ‘Did you see the race, Stokes?’ Chatham asked, after a time. Sophia’s portrait around Stokes’s neck was warm against his chest. He put his hand to where it lay, resting his fingers lightly against the lapel of his plain civilian coat. Then he saw something he had never noticed before. On the wall behind Chatham’s desk, swallowed up among the many engravings of the Bay, was a miniature of a woman with the powdered hair and enormous hat of the previous generation. She gazed out of the gilded frame with a mysterious smile, her blue eyes bright with youth and love. Stokes did not need to ask who it was; the pang of pity that lanced through him took him by surprise. Like Chatham, he wanted nothing more than to climb aboard the first available ship and leave Gibraltar for good. But he had Sophia eagerly awaiting his return, whereas Chatham would never see his wife again. There suddenly seemed to be an extra presence in the room, bending over Chatham as he sat at his desk, arms resting lightly on his shoulders. The impression was so strong Stokes could feel the power of Chatham’s loss surging through him like electricity. He saw the pain behind Chatham’s detachment, indelibly etched into the older man’s features, and wondered how he could have missed the fact that Chatham longed for his lost love as much as Stokes did himself. ‘Thank you,’ he said, ‘but serving here brings its own reward.’ And he meant it.